The dramatic advancement of cellphone technology has fundamentally changed our daily lives. Smartphones and their applications have created new capital for information and communication technology corporations and changed the way people communicate. Because of an interesting awareness of the significance for digital economy and people's daily culture, many countries, from the U.S. to China, have massively invested in the smartphone industries since the early 21st century. Among them, South Korea has become one of the centers for technology development and digital culture, although the country was once lagging behind in the penetration of the phones and their apps. Yet within the last few years, the country has taken a big step toward their goal of becoming a 'mobile game wonderland' by appropriating smartphones and it now exists as a curious test-bed for the future of smartphone technology. Smartland Korea, as the first attempt to comprehensively analyze mobile communication in the context of Korean smartphones, looks into a largely neglected focus of inquiry, a localized mobile landscape, with particular reference to young Koreans' engagement with their devices and applications. Dal Yong Jin focuses not only on the celebratory achievement of technological advancement, but also the significance of social milieu in the development of the smartphones. He situates the emergence of smartphones within the growth of mobile technologies and overall telecommunications industries embedded in Korea's information and communication technologies. 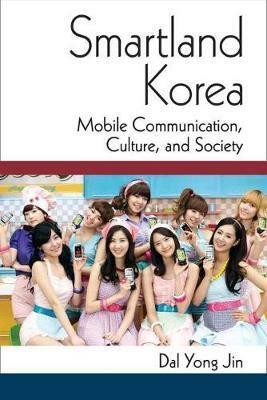 The book examines the technology's innovation and the evolution, the digital economy through the lens of political economy, and the youth culture embedded in the Korean smartphone context.